These small buckets come in four pastel colors, making them the perfect addition to a shower. Fill them with creative party favors or use them as a small centerpiece. They can even be filled with small candies or jelly beans for your guests. Add in a plastic liner and use them to plant decorative seedlings and succulents, adding a unique flair to your event. 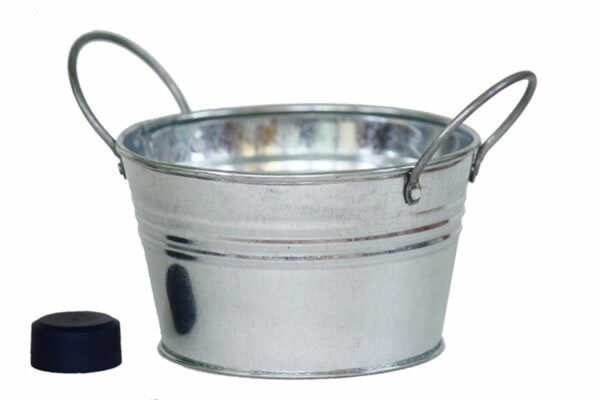 We also offer larger Centerpiece Buckets in 15 colors for greater variety.